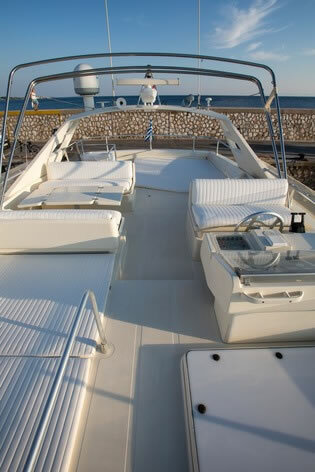 *AVAILABLE ALSO FOR DAILY CHARTERS IN MYKONOS FOR UP TO 20 GUESTS! 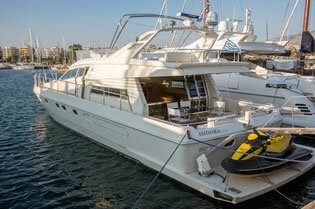 Mykonos yacht charter the beautiful ISIDORA that is a FERRETTI 60 feet luxury motor yacht offered crewed for charter in Greece and Greek islands. 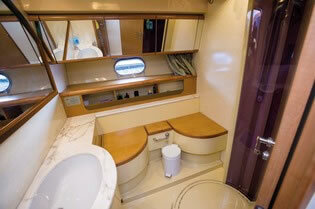 This FERRETTI 60 was refitted in 2016 and accommodates 6 guests in 3 cabins with en-suite facilities. 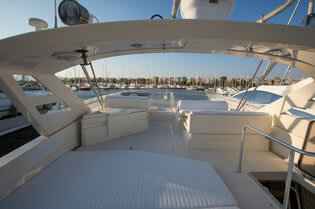 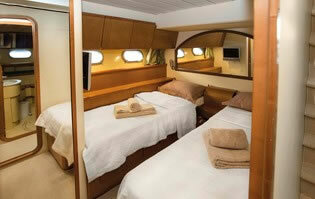 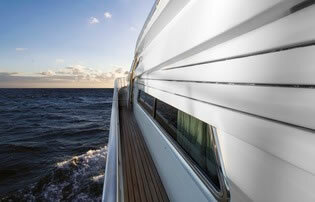 Has a crew of 2 with their own accommodations and cruises at speed of 25 knots. 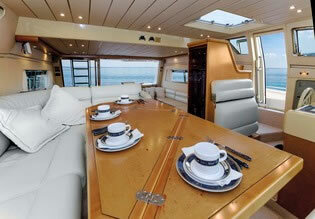 The yacht is perfect for daily and weekly cruising offering spacious decks, sun pads for relaxing, sitting areas for socializing and even dining al-fresco. 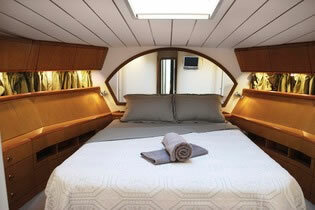 The interior styling is bright and airy with light color wood and white fabrics in the salon, dining area and cabins. 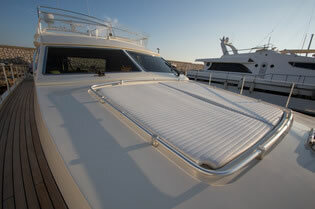 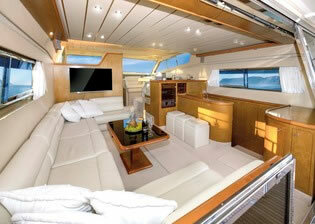 This FERRETTI 60 has a large swim platform for easy access to water to enjoy her variety of water toys. 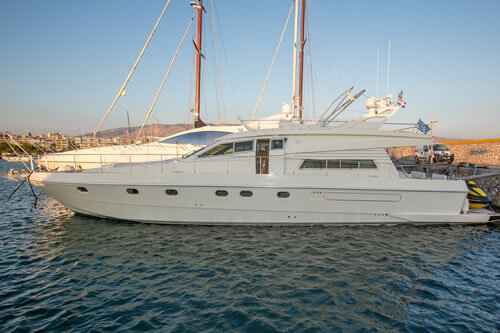 The yacht is ideal for your sailing holidays in Mykonos and other Greek islands providing safety luxury speed comfort and impeccable service from her crew! 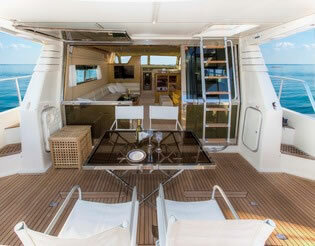 Charter this beautiful motor yacht in Mykonos Greece ISIDORA FERRETTI 60 for One day or for One Week!